Publication Information: Arcade Publishing. 2018. 400 pages. Opening Sentence: "I was tethering the cows out by the pond when a boy came into our pasture saying that Father Cléophas himself want to see me tout suite in the morgue." Favorite Quote: "What I saw can never be unseen, never forgotten. All my life, over and over again, that same scene repeating in my mind." Sugar Money is a very literal title. 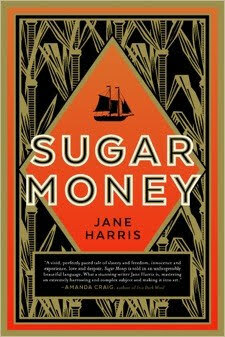 Set on the islands of Grenada and Martinique in the 1700s, this book is about the control of slaves to work the sugar plantations and to control the money in the islands. What I did not realize before reading the book is that the story is based on actual historical facts - a somewhat obscure incident but history nevertheless. The story is graphic and disturbing in the cruelty depicted; the fact that it is based on history makes it so much more so. Be sure to read the afterword in the book for the author presents the actual history; however, only read it after completely reading the story it includes the historical conclusion of the story. Emile and Lucien are brothers, both slaves. Emile is considerably older than Lucien, who is still an adolescent. They live on the island of Martinique which is controlled by the French. They were brought here from Grenada by the monks who owned them. The English now control Grenada and the slaves left behind. Emile and Lucien are charged by the monks to return to Grenada and essentially steal back the slaves that the monks feel still belong to them. As slaves themselves, Emile and Lucien really have no choice, but they are presented the "incentive" of seeing this as a rescue mission and thinking about possible reunification with people they love. Lucien, the younger brother, is the narrator of this story. Through his eyes reflects a certain innocence even to the cruel and graphic description of the treatment of slaves. Families are torn apart. A man is nailed by his ear to a wall. A boy is flogged to the point of having almost no flesh left on his back. A man is tarred and bound to attract flies to add to his torment. The descriptions are graphic, horrifying, and most sadly, so frighteningly real. Yet, the lens of a child maintains a certain distance from the horror and superimposes on the horror a human being's ability to survive. The beginning of the book in fact sounds more like a tale of adventure than of slavery. The reality is that this "rescue" mission is a task ordered upon slaves to hand other slaves from one master to another. The reader clearly has to read between the lines of what this narrator sees and depicts. This is not an adventurous lark but a tale of stark cruelty. It is an odd contrast at times but accentuates the brutality when the descriptions do come. The challenge I face with the book is the language. Lucien's childhood is scattered between the French, the English, and the Caribbean languages of the slaves. This mixture ranges from quoting Julius Caesar to deliberately challenging the monks with use of the Caribbean creole. This is likely Lucien's reality, but makes the book it challenging to read. Regardless, the book introduces me to a history I did not know and brings to life yet another aspect of the brutality of slavery.